Time required to finish the video game. You should first and foremost know about the amount of time a video game will take you to become an expert at it. While some people may take days to get the hang of a video game and finish it, others may do it in just a few hours. Also take into account the type of the game, for there are video games, which don’t have a fixed ending and hence are bound to take longer. For such video games, purchasing will be the best option for you will have almost forever to solve and finish it. Video games with a definite end usually require no more than a few hours of concentration and thus are better off as being rented out. Your interest in the video game. After this, find out how much interest you hold in the video game. If you feel that the video game is interesting enough to be played over and over for many days, then go ahead and purchase it. Such video games are mostly those where you have played one, and the series are launched. In such a case, purchasing is a good option as you are familiar with the video game and will find it good enough. Money you can afford to spend. Take into account how much money you are actually willing to spend on the video game. There are some who can afford to spend as much as they want on a video game but some others bear the expenses of a game at the cost of their entertainment. In case you have enough money to spare for a sixty-dollar video game without exceeding your budget, go ahead and purchase the game. In other cases, renting is a much better alternative. You may be able to rent as many as three video games in the purchase price of one. Try the game first. When you rent a game, you also get the opportunity to try it out first. A few dollars is what you spend, but you get to know whether the game is actually worth purchasing or not. If the game isn’t as appealing as it appeared to be, you may as well not invest by purchasing it and end up saving quite a few dollars. 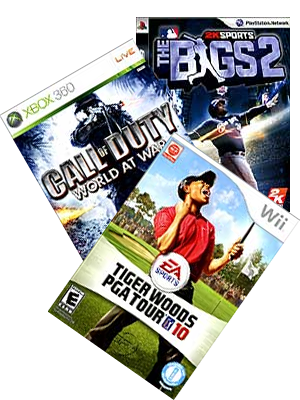 Taking video games on rent is also a wonderful to explore all the titles that are available there. The world has more games than you may even think of playing. When you rent video games, it gives you the chance to play a variety of games while staying within a set budget. After you have settled on the most interesting games, you may purchase them.